Four-color, 8.5″ x 11″ statements with plenty of room for statement detail and three separate customized messages. 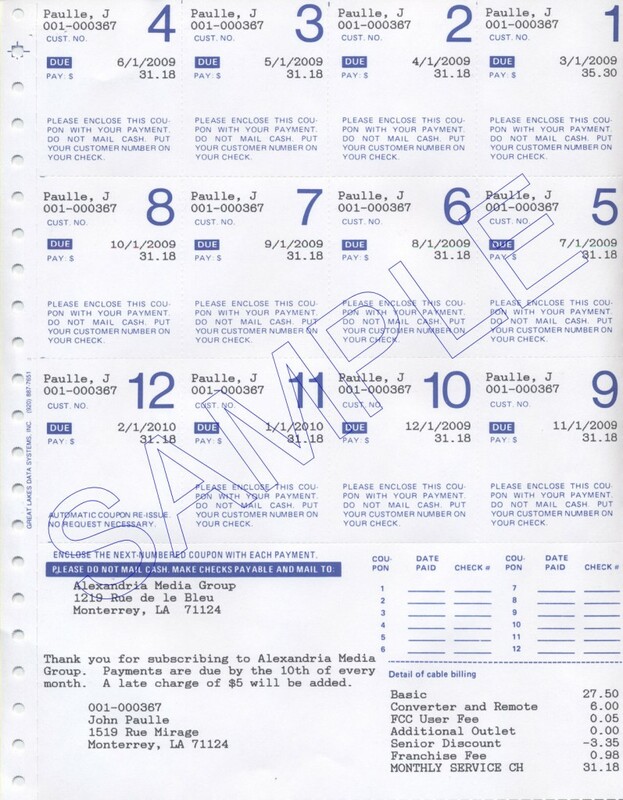 There is a perforated return portion for customer convenience. Two separate barcodes allow discounted postage rates and payment scanning. A logo bitmap file can be used for printing your company’s logo on the statement. Both outgoing and return envelopes are available to fit this statement. Designed for use with laser printers. 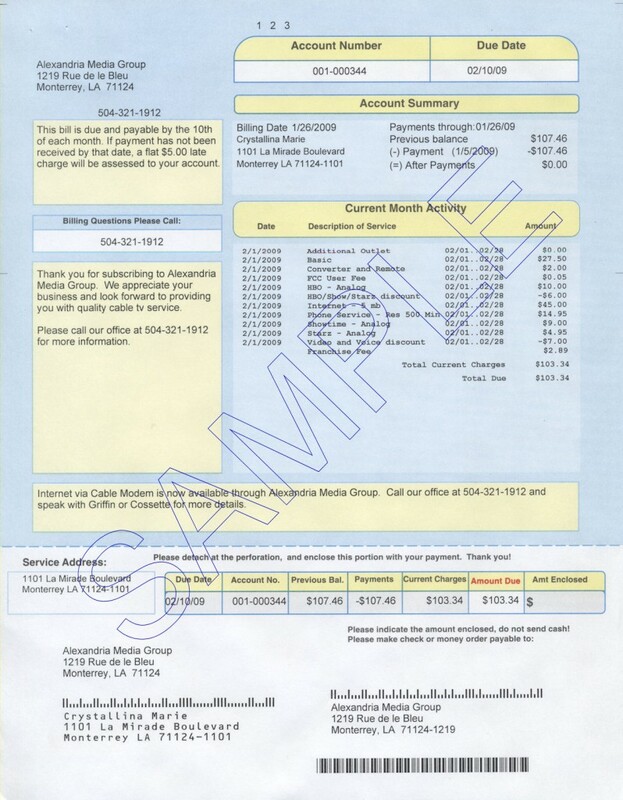 Save postage with these billing forms! There is room for one customized message, barcodes for payment scanning, and POSTNET barcodes. 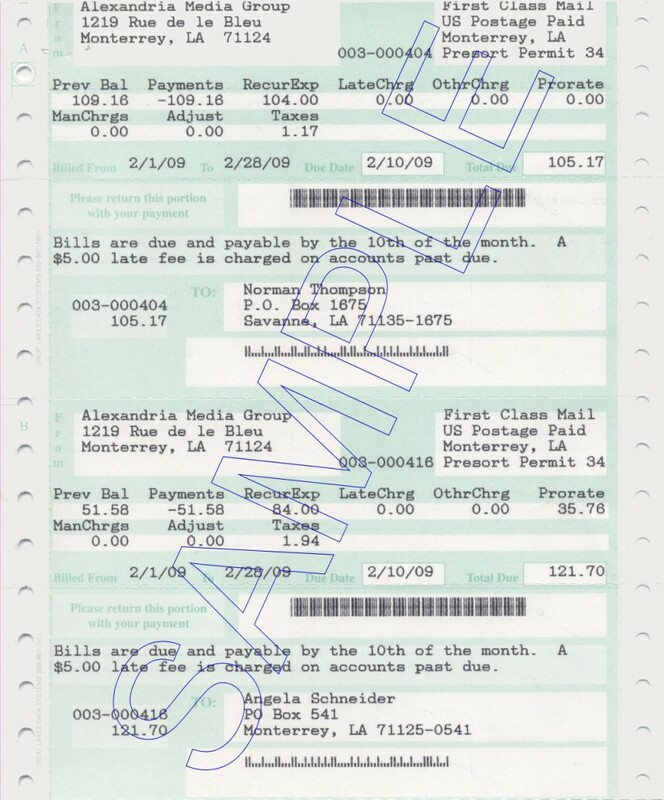 Less itemized than the three-message statement, postcard bill totals are grouped in subtotals for basic, premium, one-time charges, taxes, etc. 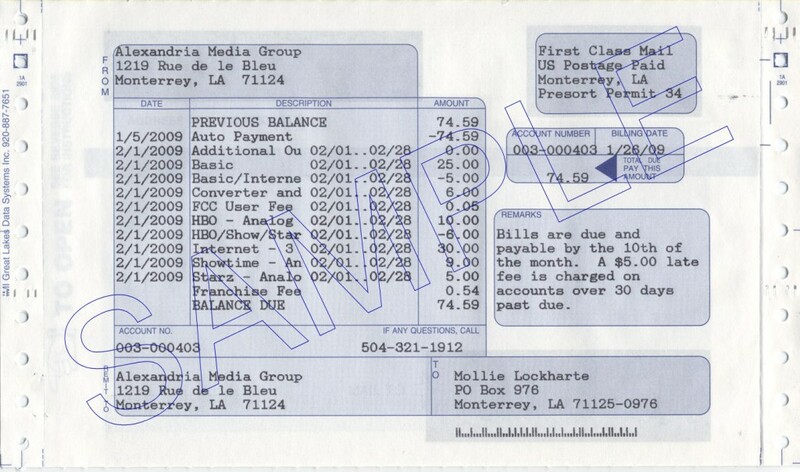 Requires dot-matrix printer.